The way we buy goods has changed dramatically in the last few years, and it’s only going to continue to evolve. Think about it, people really enjoy, and in some cases even rely, on the convenience of using the internet to make purchases of products like clothing and food. You can trust that they’re going to expand their horizons at some point, eventually employing the online space for big commitment purchases, like vehicles. The industry is not fully there yet in that regard, but it is well on its way. The internet has become the go-to information source for vehicle consumers, especially in South Africa. In fact, the time each consumer in the country spends researching cars online grew to approximately 14.44 hours last year, and made up 59% of the total vehicle purchasing process. Why though? 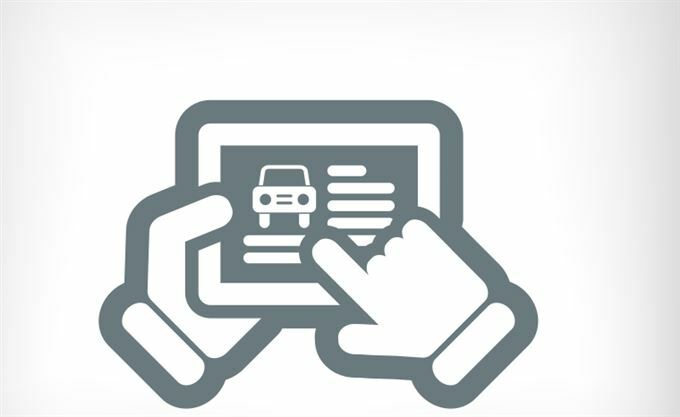 Simple, because instead of having to walk into a dealership, consumers can now browse a range of different car brands, find out about all their features, safety ratings, and specials online. On top of this, they can access reviews and competitive studies from third-party sites from the comfort of their own home, or anywhere for that matter, thanks to mobile devices. Customers are clearly getting smarter and savvier. They want convenience, and they’ll settle for nothing less. What then, can car dealerships do to ensure that they are the ones providing it? How can they transform themselves from a traditional model into a more modern one that will appeal to clients today, and well into the future? The fact that third-party car-buying services even exist should be a red flag for dealerships. The traditional purchasing process, one that entails many hours of tedious paperwork, clashes heavily with customers’ demands for convenience. Dealerships’ customer care department needs to be handling all the nitty gritty stuff in the same way these car-buying services do. That sort of functionality alone will greatly improve a client’s overall experience. After-sales services are also becoming an increasingly more important element for dealerships to concentrate on. As belts tighten with the downward sloping economy, clients are paying closer attention to incentives that offer additional value. They’re more inclined to make a purchase that will provide perks in the long run, and it’s up to the dealer to meet them halfway with benefits beyond the initial sale. This makes even more sense, given the fact that clients are keeping their vehicles for longer periods of time before they go about sourcing a new one. In the United States for example, car ownership is up to 6.5 years from the 4.3 seen back in 2006. Clients today are choosing to spend a lot of time online before they even set foot in a dealership, therefore a dealer’s website should be designed to be as intuitive and appealing as possible. Offering a client everything they need to know about their next vehicle in a virtual showroom, in an easy to digest manner, could be all the persuasion they need to visit their nearest car dealership to complete the transaction. Armed with their findings, they’ll be able to walk in and narrow down their choices to a final decision in a much shorter space of time. Nobody enjoys the inconvenience of having to take their car in for a service. It’s an annual affair where a client knows their entire day is going to revolve around that single activity – getting their car to a dealership, and then having to collect it much, much later. Is there no alternative solution? Some dealerships today are offering one hour services, where a client can conveniently pop in and out in that space of time. This sort of functionality requires a very efficient team to pull it off correctly however. Cars of tomorrow don’t even require a trip to a dealer for a service. Tesla for example, runs a futuristic model where they can perform their work remotely. They simply send software updates to the vehicle, and if a mechanical change needs to be made, they go to the customer. We’ve all heard the age-old saying, “The customer is always right.” Does anybody actually know exactly what the customer wants though? With technology at the level it is, it’s becoming much easier to answer that question. Thanks to the likes of big data, dealerships now have the means to analyse information which can highlight trends and insights. These can then be used to craft services or products tailored to a client’s wants and needs. Virtual reality is another technology that can be utilised by dealerships for the benefit of their customers. Envision being able to visit a dealership, walk around, and look at vehicles, all from the comfort of your home. Better yet, picture being able to climb into a car virtually to take it for a spin. Granted, that experience can never replace the real deal (at least, it won’t anytime soon), but it does give a client some indication as to what they can expect from their future vehicle, all without having to leave the house. What are auto dealerships (and for that matter all suppliers in the automotive chain) going to look like tomorrow? Will showrooms still be vast spaces filled with an entire range of vehicles, or will they scale down into smaller stores that focus only on making the final transaction? Will they even worry about offering test-drives and services? There’s no telling. Given existing customer practices however, it’s clear that the focus needs to be on offering convenience and value. With technology reaching new heights, it’s up to the dealer to figure out how best to employ it, so they stay relevant in a world where brick and mortar doesn’t seem to be a priority anymore.